← Please Vote for me to win a four-day foodie trip to Hawaii! 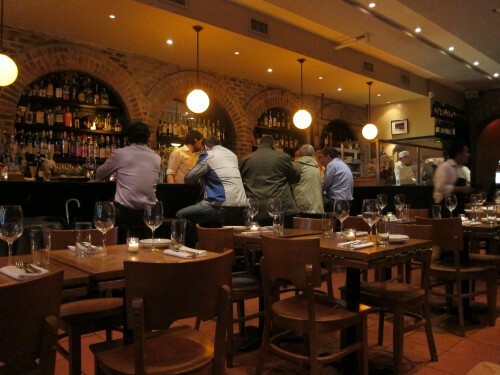 Lupa is Mario Batali and Joe Bastianich’s Osteria Romana – a casual Italian restaurant. 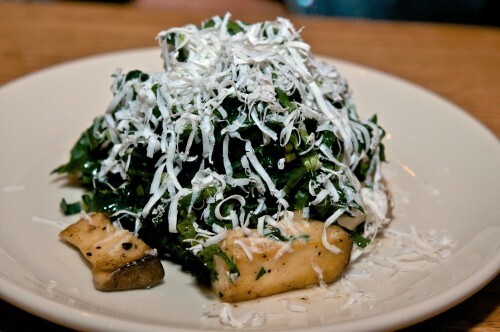 The cuisine at Lupa is inspired by area of the Lazio which is the region of Italy centered around Rome. The menu consists of simple dishes using fresh, locally sourced and sustainable ingredients. The food is not outstanding but is certainly good. 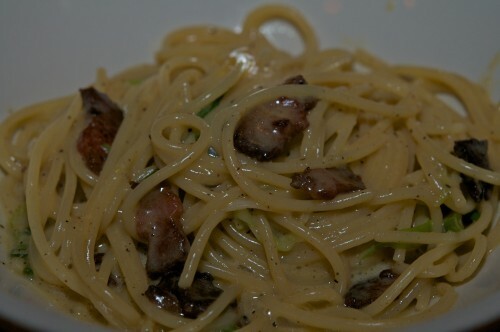 Certain items are a must try at Lupa. 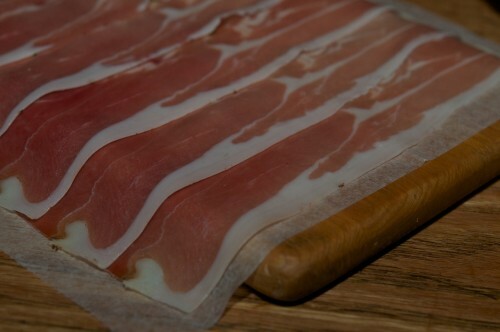 One of those is the house-cured meats (Salumi) as is the delicious rosemary focaccia. 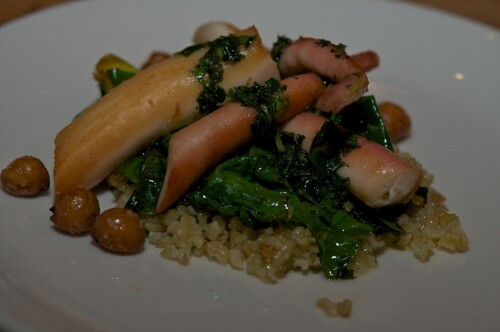 Others such as the Octopus with Farro & Salsa Verde was really disappointing. The waiters are adorable and have that Italian charm that will knock your socks off!! It also helps that they know the menu really well and are more than willing to offer suggestions on what you should order. The best thing about Lupa is its affordability. 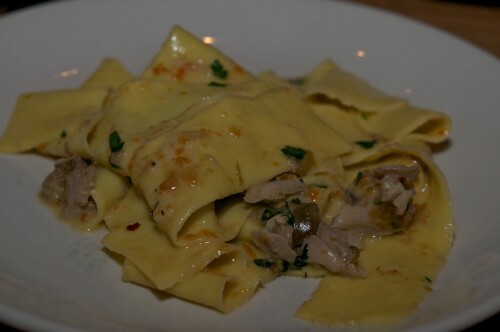 Lupa is another winner by the dynamic duo of Batali and Bastianich. This entry was posted in ITALIAN, MANHATTAN, NEW YORK, NEW YORK CITY and tagged Best food in the Italian in West Village New York, Best food spots in Italian in West Village New York, best places to eat in Italian in West Village New York, Best restaurant in Italian in West Village New York, Best restaurants in the Italian in West Village New York, blog posts on Lupa, blogs on Lupa, critics reviews on food at Lupa, food ratings Lupa, Food reviews of Lupa best food spots in West Village New York, how is the food at Lupa, how was your experience eating at Lupa, rate the food at Lupa, ratings Lupa, reviews of Lupa, Top 10 eating spots in Italian in West Village New York, what are the best dishes at Lupa, what to eat at Lupa, what to order at Lupa, Where to eat in the Italian in West Village New York, where to eat Italian in West Village New York, would you recommend Lupa. Bookmark the permalink.